Sized for beginners Sassy can bring joy to all who tries it. It's tapered shape allows for easy insertion. The stem is shaped so plug stays inserted. 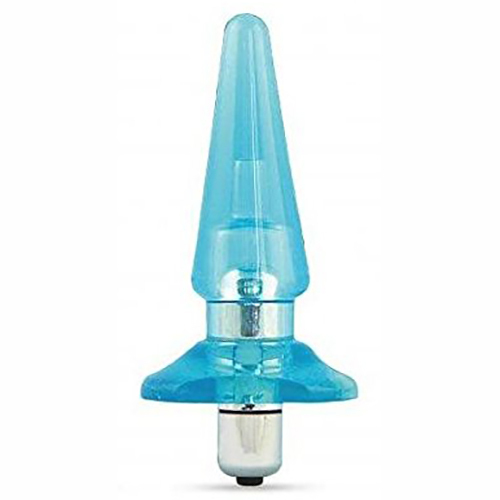 Included is a waterproof mini vibrating "bullet" with 7 vibrating functions which is to be inserted into the base of plug. The convenient push button control allows you to select the pattern of vibration you want.